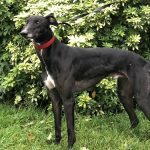 Quatro was born on 22nd of July 2015 and has now been homed. 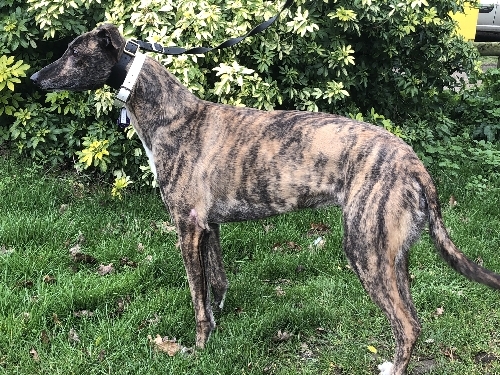 He is a medium sized, handsome, muscluar, brindle male with plenty of love to give to his new owners. 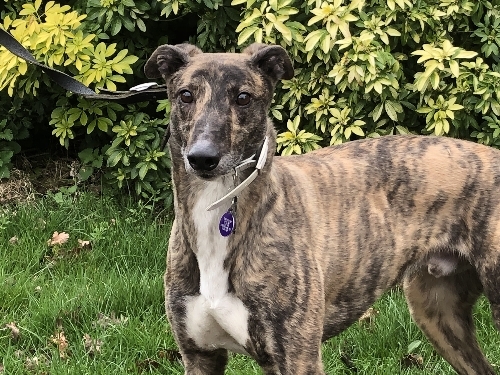 Quatro enjoys going out for his walks, he can be a little strong initially but then will trot along near you, however his chase instinct can be triggered by the wildlife around him. He is also able to jump into a car for his outings but needs a little encouragement from his human friends. He loves to be around people, having a lot of fuss and cuddles. Quatro is a very affectionate boy and will snuggle into you gently for an ever lasting hug! He loves his food and will always eat his meals, ensuring the bowl is shiny afterwards and is gentle taking treats from his human companion. How can you not love Quatro? Quatro could be homed as a companion to another dog or in a home of his own. He would be fine to be left for a few hours whilst someone worked. Quatro could be homed with children over the age of 10 years. We are currently teaching him to keep his four paws on the floor and save his strength for playing with his toys. He loves to play and will quite happily amuse himself with soft cuddly toys. Quatro needs training at dropping a toy so it can be thrown again. 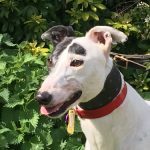 Quatro has met other breeds of dog and after careful introductions we feel he could be trained to live with smaller breeds. He joined us on 15th March 19, as we get to know him better more information will be available. If you are interested in this lad, please ring Lucy on 07769348310 to arrange a viewing. 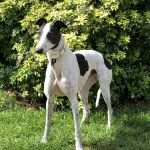 This entry was posted in Greyhounds Homed and tagged Affectionate, Brindle, Featured, Homed, Playful by Lucy. We've had the privilege of adopting 3 lovely greyhounds from Greyhound Lifeline. The re-homing team are knowledgeable and enthusiastic, and are always willing to give advice.